In terms of planning a commercial litigation claim, it is vital you fill your team with the right people, empowered to make decisions which will bring the case to a successful conclusion. What legal representation you have in your corner for the duration of the case depends on various factors including your resources and what kind of in-house legal expertise you normally have. Smaller organisations might not have internal legal teams who would be intimately familiar with the case. Having such a team is certainly an advantage, but the process doesn’t stop there. If you truly believe in your claim, it’s worth paying to have it assessed by external lawyers. These, in turn, can consult specialist counsel who will be able to give a thorough and informed opinion on its chances. Thus armed, the external legal team will be able to give you an honest appraisal of whether or not they feel they can represent you in good faith. Be sure to record any back-and-forth between your own people and your opponents. Such documentation is an essential reference throughout your claim for you and your counsel. In addition to the legal expertise at your disposal, you need to be sure that the right people from the rest of your organisation are represented. Your core in-house team could potentially consist of anyone whose job was affected by the cause for litigation, but the fewer people involved, the easier the team is to coordinate and the easier it is to keep confidential information under wraps. Managers of whatever departments are affected by the case are prime candidates for inclusion in this team, as are senior representatives of your finance department. The C-Suite is typically represented here, but this is not absolutely essential if your top senior executives would prefer to focus their attention elsewhere and only receive periodic updates. It’s important that your claim be directed by a designated ‘claim owner’ from within your own camp. This person could be an in-house lawyer if you employ one, or someone with sufficient project management expertise. You could conceivably appoint multiple people to be claim owners, but it’s important that their goals and methods are fully aligned. This position is the rock upon which your claim rests. The claim owner also needs to be able to expect prompt cooperation from anyone in your organisation whose input is required for the case to be successful. The unfortunate reality is that the daily demands of business can often take precedence over ‘special projects’ like litigation, and this risks missing important court deadlines. Your claim owner should be empowered to get the information they need from anyone, by any means. Do you need litigation finance? 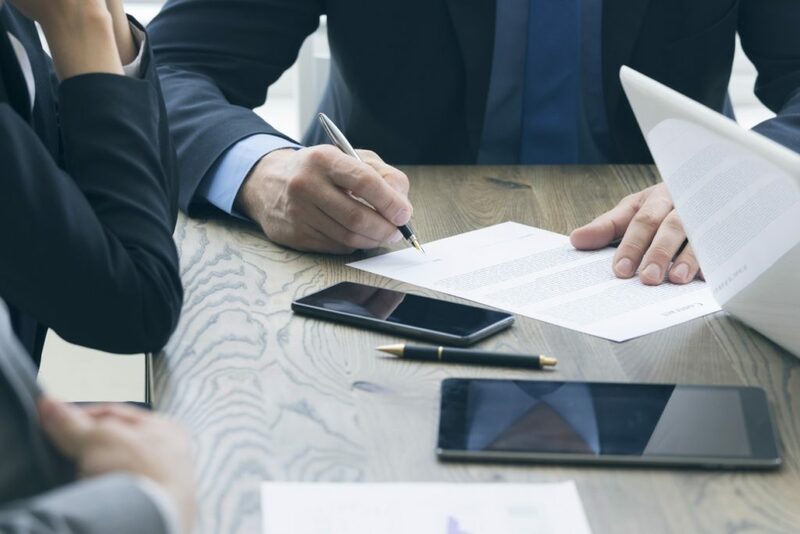 If yours is a meritorious claim, you could qualify for litigation funding, or ‘legal angel investment.’ With this model, the cost of pursuing your claim could be covered in its entirety, in return for a share of the proceeds. This removes the financial burden of litigation, keeping your resources free to meet the day-to-day demands of business. The funder will also indemnify you for the defendant’s costs if your claim is unsuccessful, effectively eliminating all risk to your organisation. If you decide this option is appealing to you, it’s important to carry out the proper due diligence and work with a funder who has your interests at heart, as well as a proven track record. A credible litigation investor will also be carrying out their own due diligence as part of assessing whether to invest in the claim. Their aim will be to identify and evaluate duty, breach, causation, and the damage suffered by your organisation. You can read more about how we at Redress assess which claims have merit elsewhere on the blog. In general, take it as an encouraging sign if a potential funder asks a lot of questions, it means they know what they’re looking for. It’s our opinion that, as investors, our job is to invest. We can certainly offer support and advice if requested but be wary of funders who insist on replacing your external legal team. External lawyers worth trusting running the case in Court is, to us, a deciding factor in whether or not to invest. Are you planning a litigation claim? Want to maximise your chances of success? Download our three-step guide and start your claim off on the right foot.